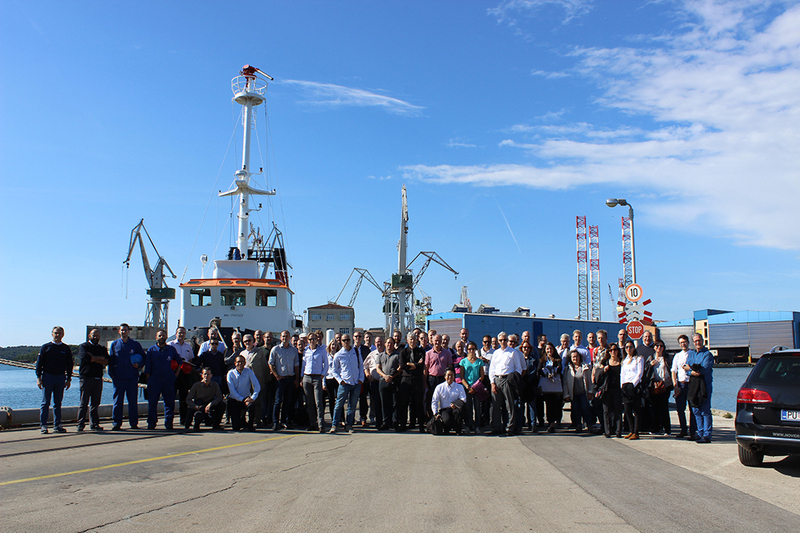 In line with tradition, the E-LASS conference started with an industry tour. 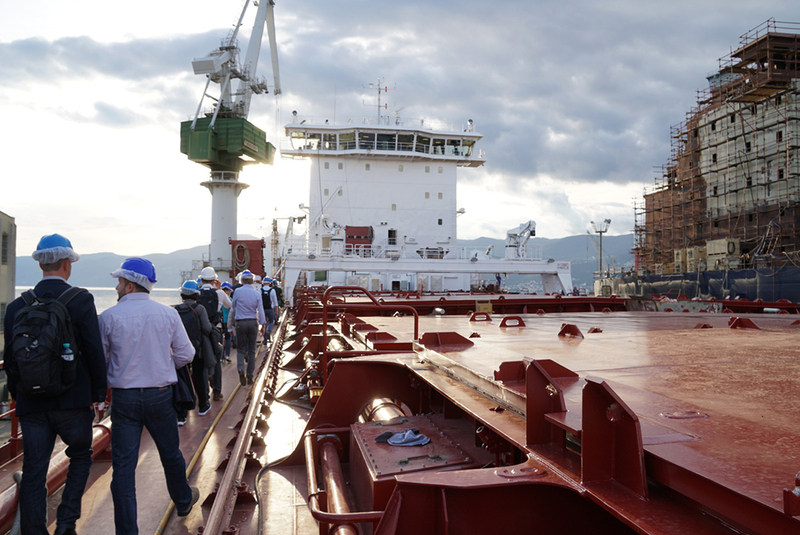 First a visit was made to the Uljanik shipyard in Pula, with a tour around the shipyard, which has traditionally focused on production in steel. Impressing to participants was for example the wide diversity in their production portfolio, with everything from tankers to cruise ships. 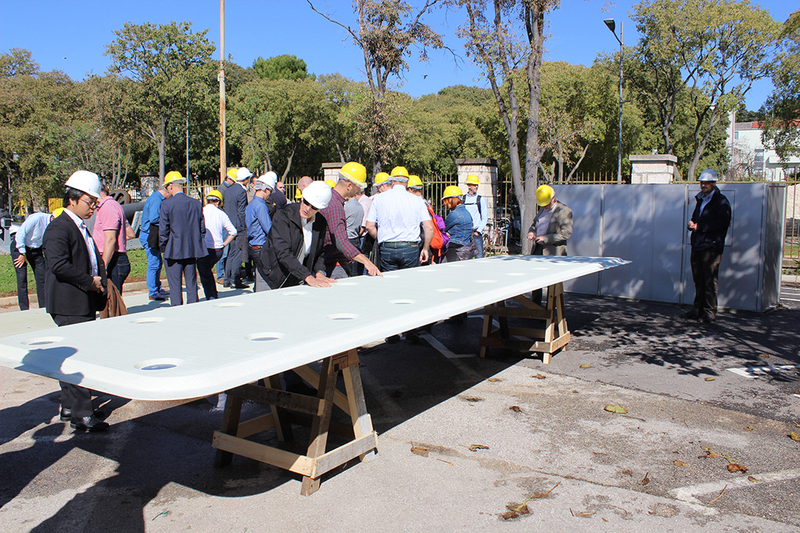 Another of the highlights was the close up inspection of the FRP composite panels, measuring about 6.5 by 1.7 m, which have been used in production of the world’s first PCC with internal decks in FRP composite. 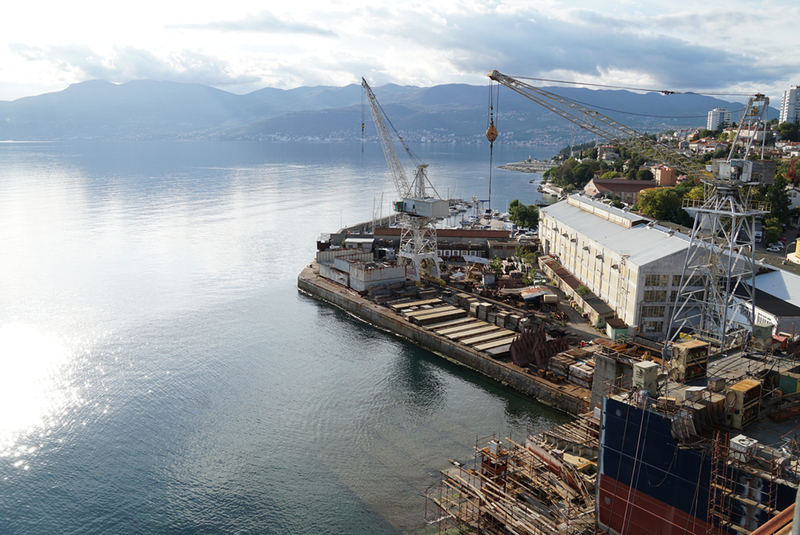 After the Uljanik shipyard tour, a transit was made to the 3.maj shipyard in Rijeka, where production of a second such ship was currently produced. The participants were invited to the topmost deck of the 200 m long ship skeleton, from which the steel grillage was clearly visible. 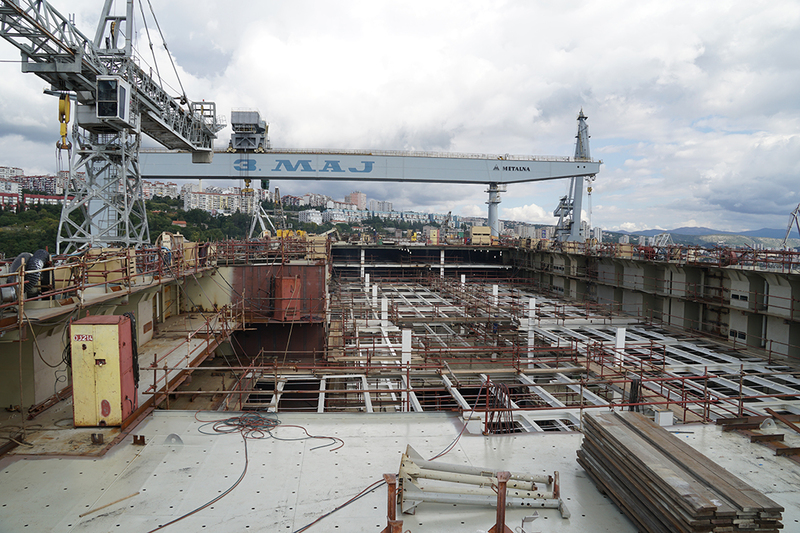 The grillage consisted of transversal and longitudinal beams for the four upper decks, into which FRP composite panels will later be inserted, allowing for significant weight savings. 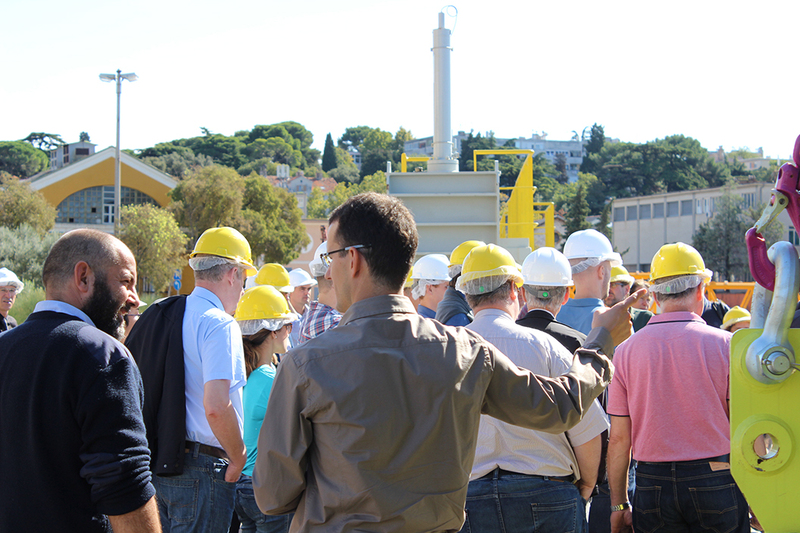 In addition, a tour was made through the many complex functions of a bulk carrier, with for example an automated discharge system. 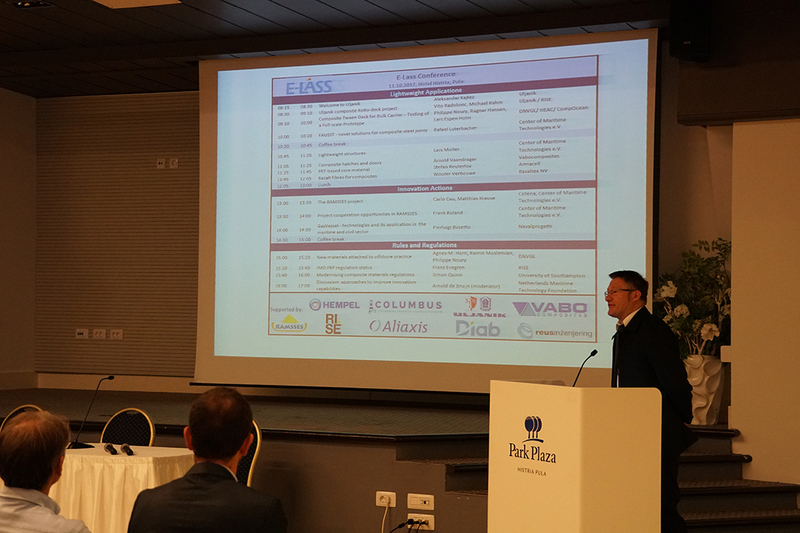 The day was ended with a dinner back in Pula, provided by Uljanik and other E-LASS sponsors. 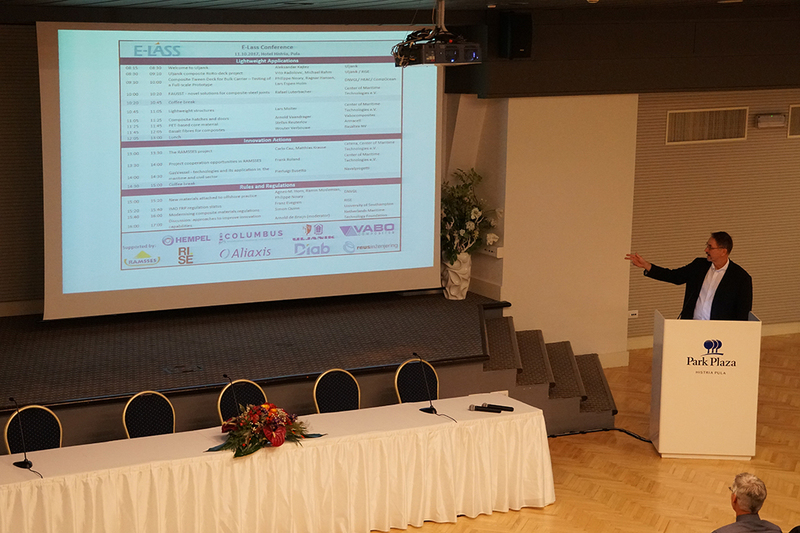 Tommy also shared the background story of E-LASS with the participants (84 in total) at the conference and talked about increasing cooperations, especially with the EU project RAMSSES which together with Fibreship, another EU lightweight project, has a joint budget of 25 million €. It says a lot about the current interest on a European level in lightweight applications for the marine/maritime industry, described by Tommy as “kind of amazing”. He also mentioned that the cooperation with RAMSSES will result in twice as many seminars per year (2 instead of 1). 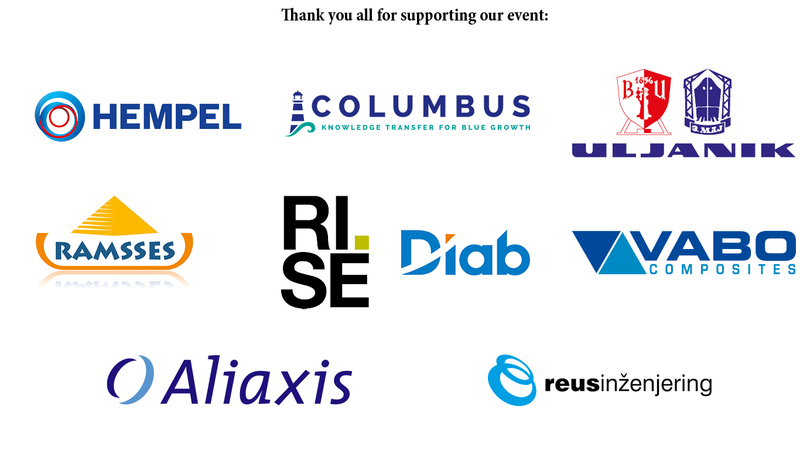 The E-LASS network consisting of about 300 members from 26 nations, provides a great audience to receive results and experiences from work within Ramsses at the same time as the network will get a chance to meet potential customers and project partners in the strong group of industries and researchers in Ramsses. 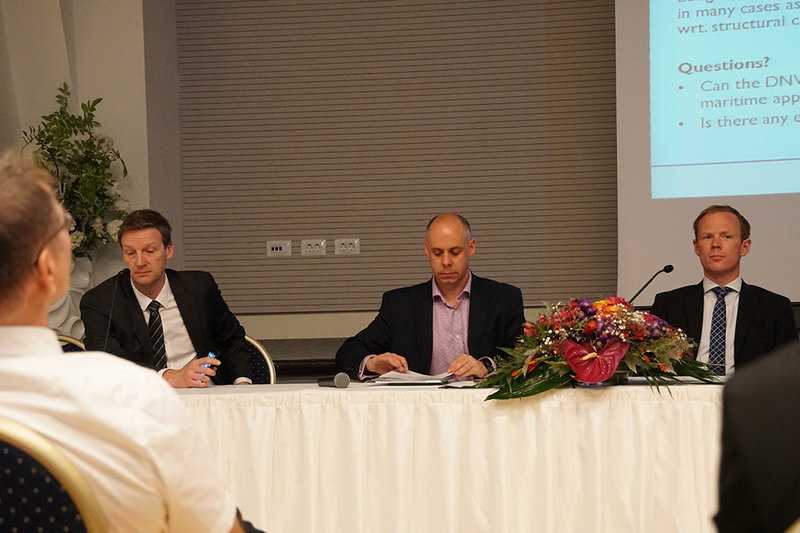 The conference was concluded with a panel discussion featuring Simon Quinn (University of Southampton), Franz Evergren (RISE) and Philippe Noury (DNV GL). 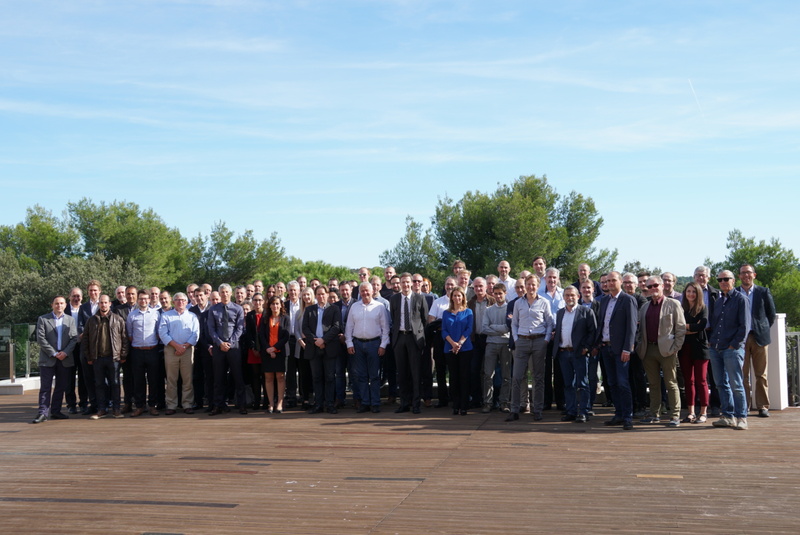 Thank you all for coming to Pula and participating! 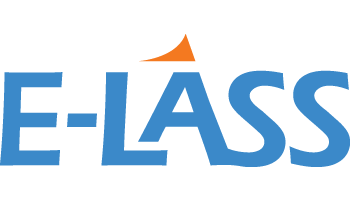 Our next E-LASS meeting will be held in France in 2018, preliminary at the end of June but more information will come concerning that event. However, in January 30th there will be a RAMSSES-meeting in Borås, Sweden, where E-LASS and its members are welcome to participate. See you then!